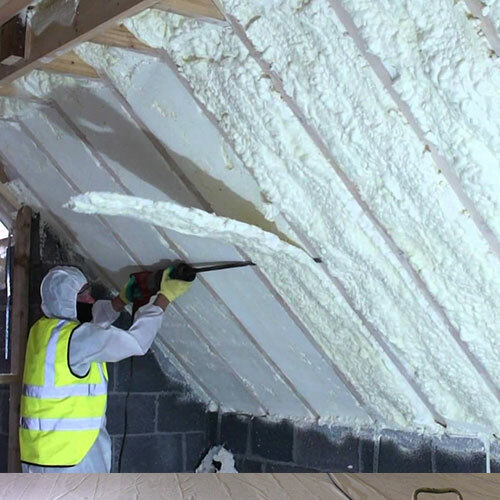 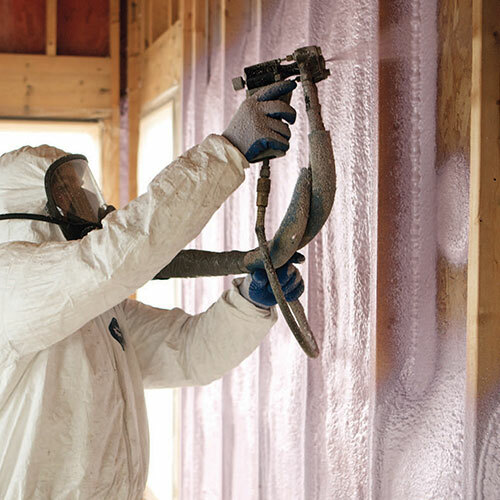 Why use spray foam rather than of other traditional types of insulation? 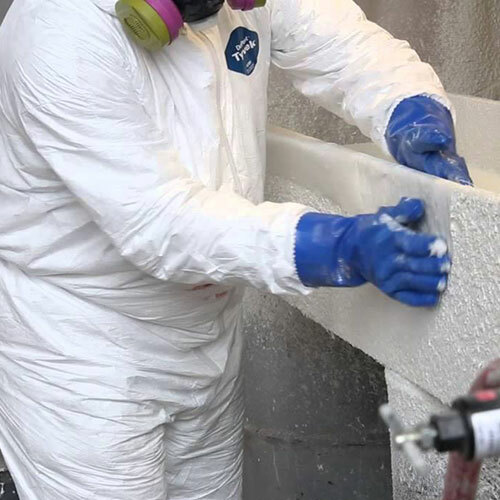 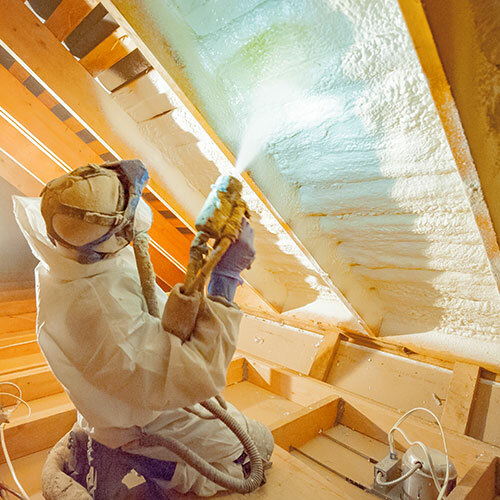 Spray foam protects and seals a residential or commercial property's interior using a one-step method of applying the foam to any wood, metal, or stone surface, then allowing it to expand and harden in seconds. 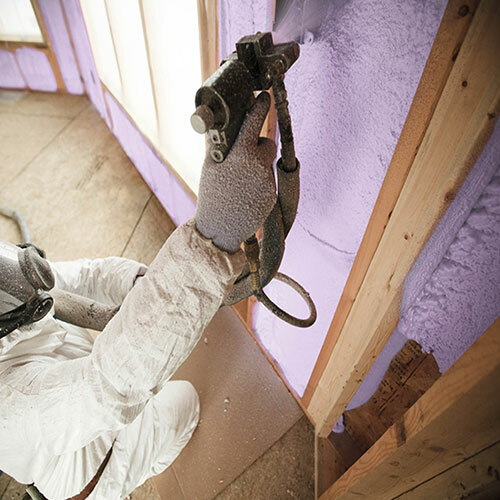 The expansion forms an adhesive seal that covers all areas such as a hole, cracks, and other hard to reach places. 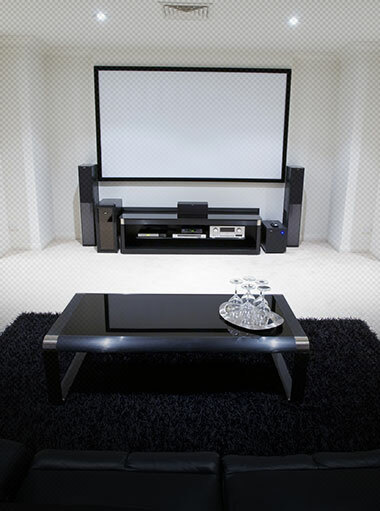 It doesn't deteriorate or sag. 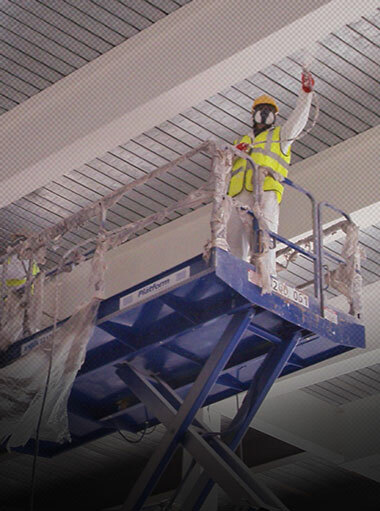 It stays in contact and retains its qualities for several decades with little need for repair or maintenance. 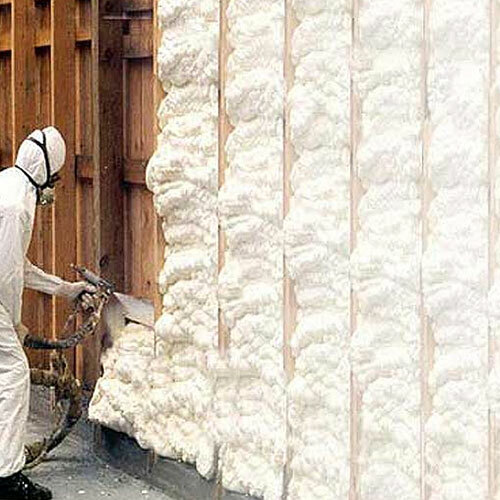 Spray foam will help property homeowners see a reduction in the energy bills each month, thus saving them hundreds of dollars annually. 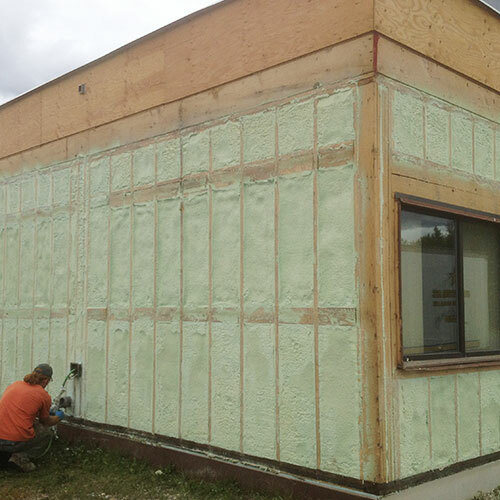 It has a higher R-Value than conventional insulation. 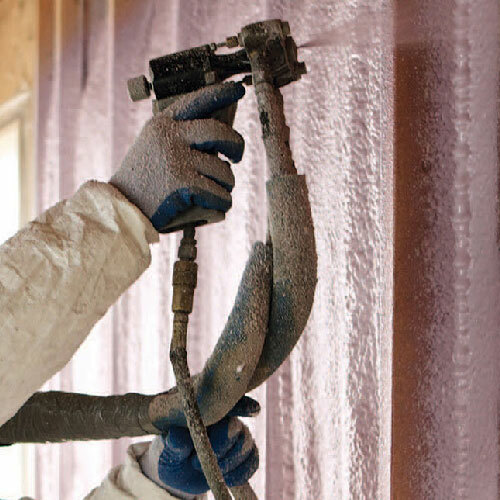 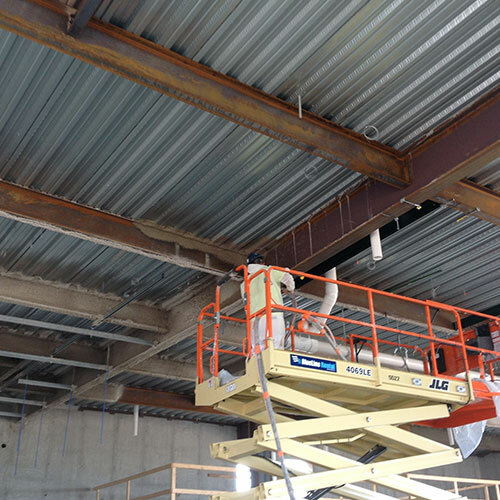 With a higher R-value contractors can decrease the wall depth of any building, thus reduction leads to lower costs in materials and labor during construction. 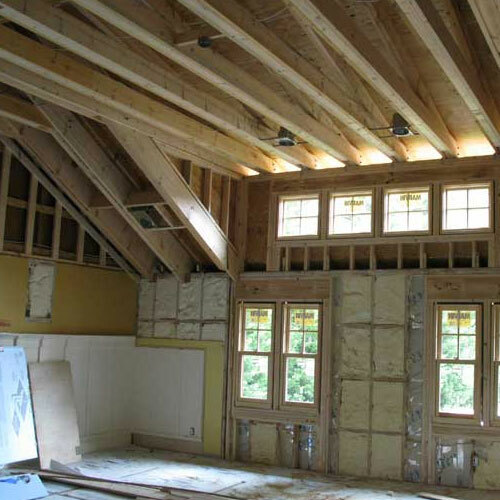 It will also ensure that contractors consistently pass New York and New Jersey building codes once the project is completed. 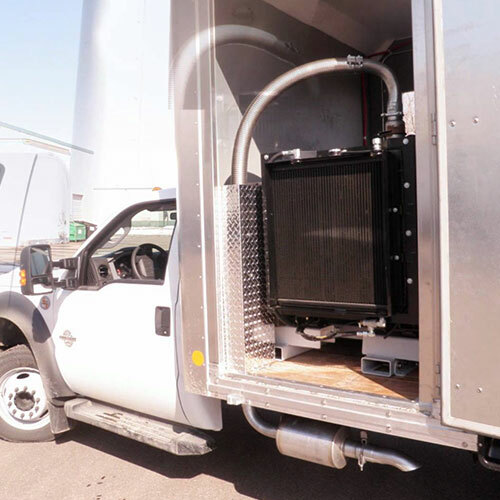 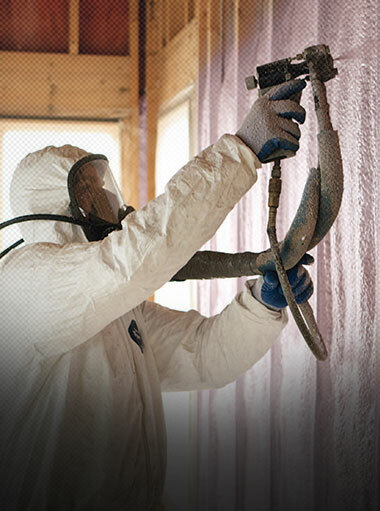 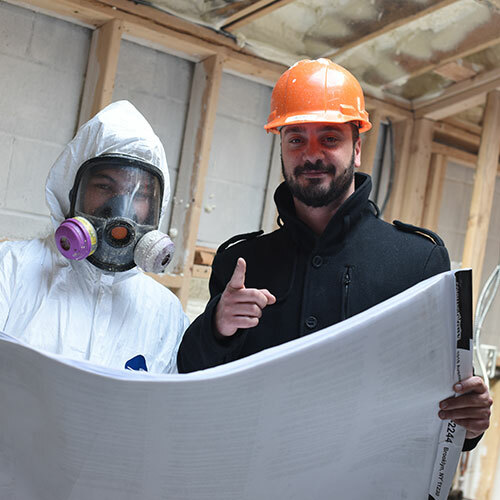 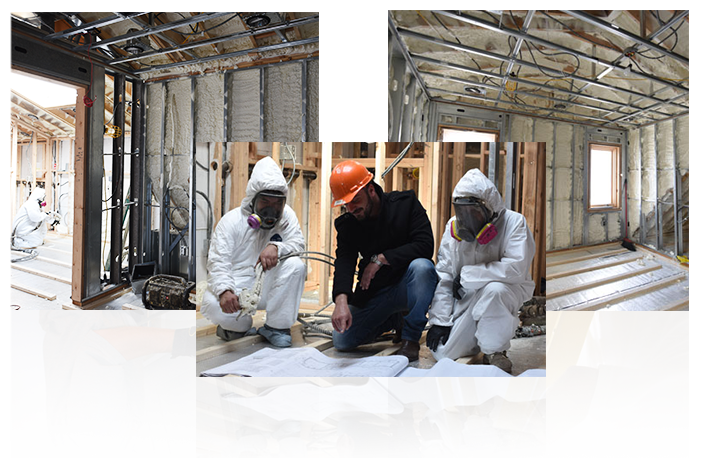 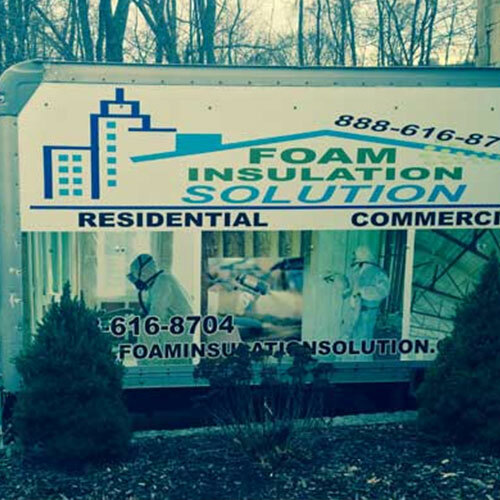 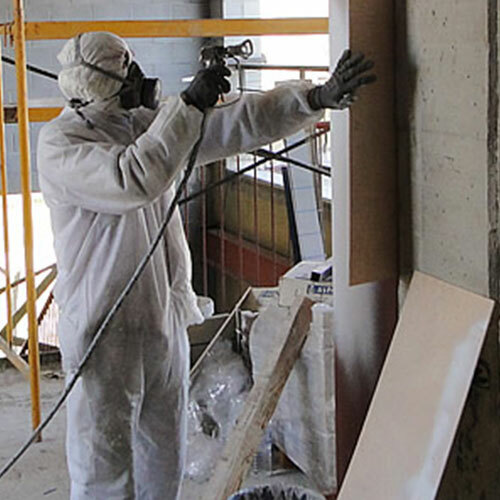 In addition to standard insulation spray foam can be purposed for other jobs. 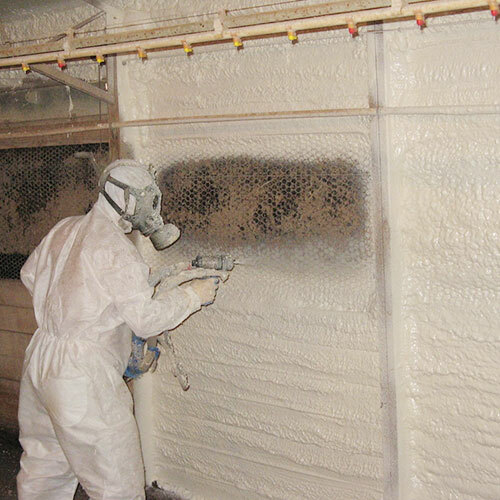 For instance, open cell spray foam is excellent for controlling noise levels. 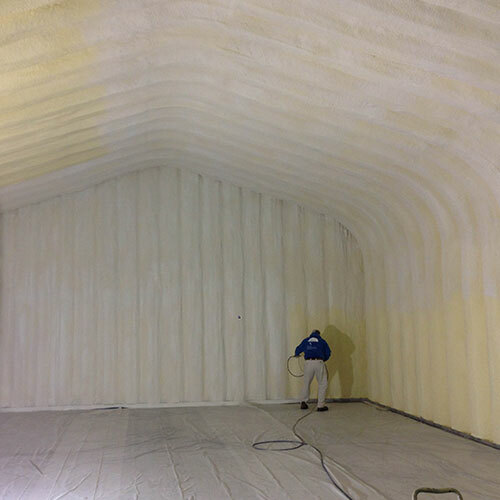 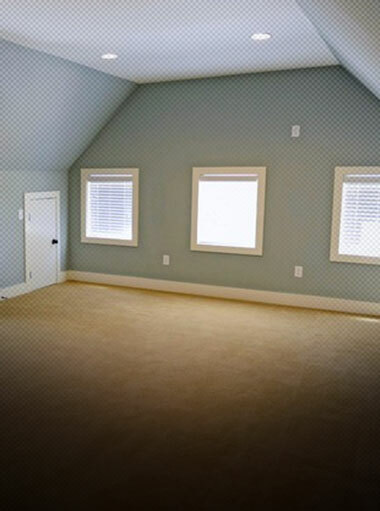 It is used for sound proofing large and small rooms. 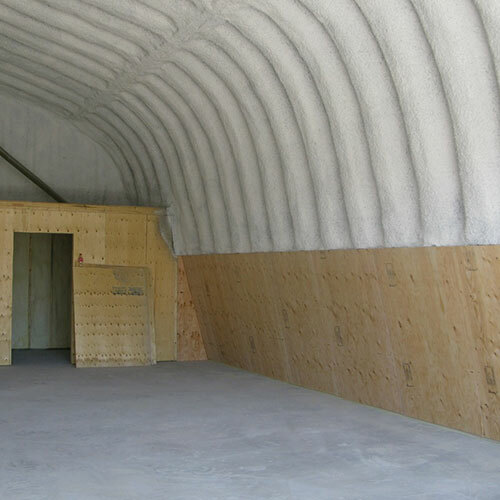 It absorbs frequencies and keeps them from getting through the walls. 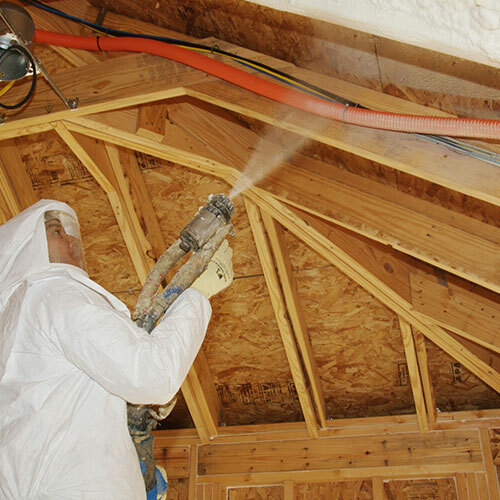 Spray foam is commonly used in waterproofing application where 100% protection is an absolute necessity. 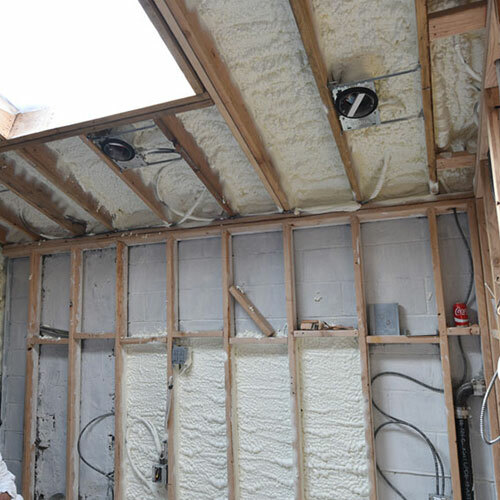 It doesn't absorb water or allow it to pass through the wall. 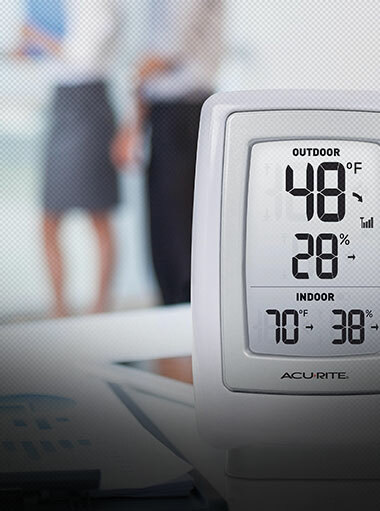 It will not deteriorate either which makes it super waterproof. 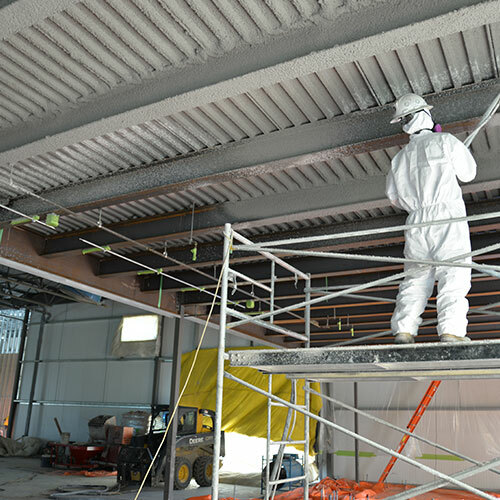 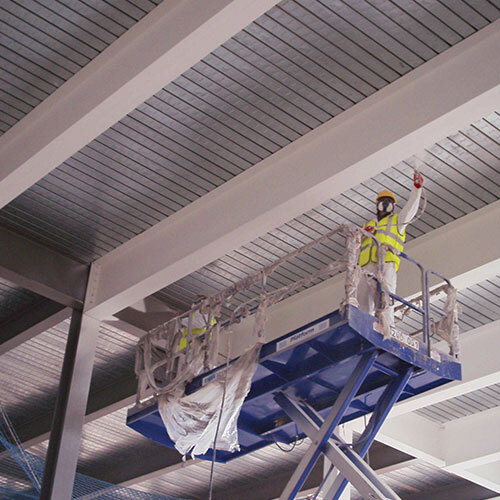 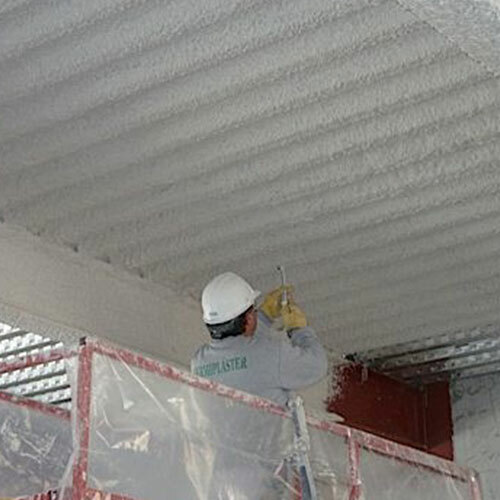 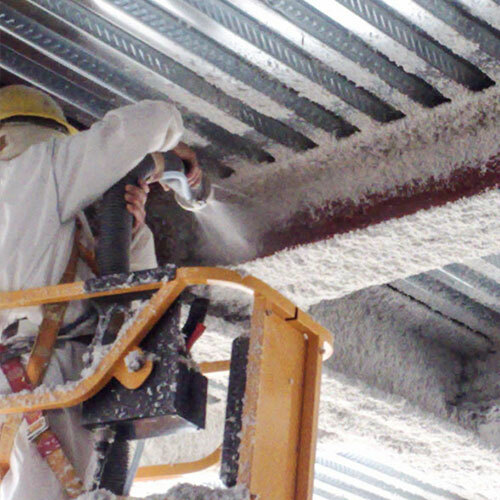 It can be used for fireproofing and is perfect for steel beam insulation and spray applied fireproofing. 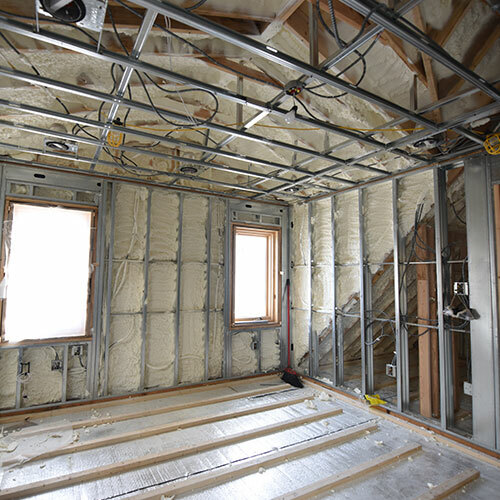 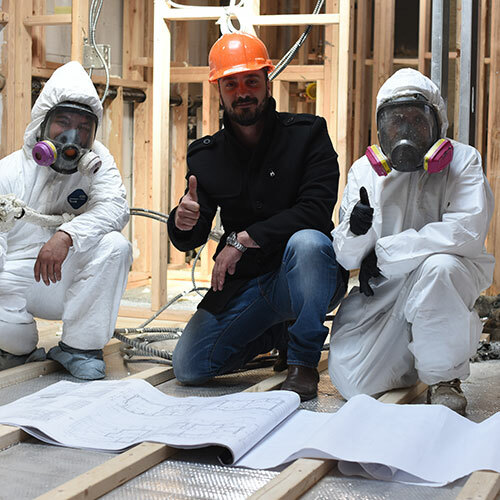 It's common to use foam insulation in areas where reinforcement for building support is crucial to maintaining building stability in the event of a fire.